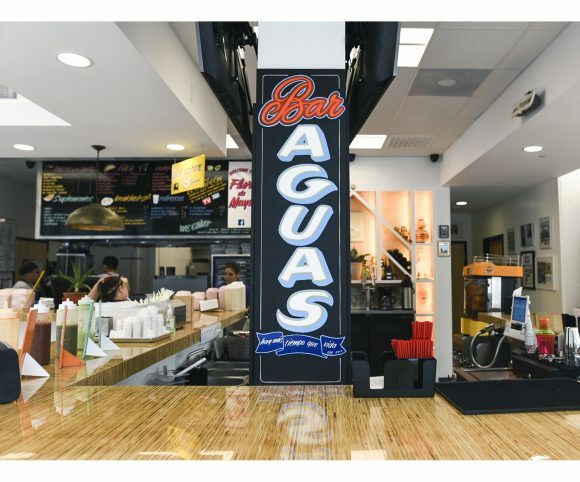 About: Salsa Limón is utterly committed to serving unapologetically Mexico City style tacos. Pushing the limits of quality and flavor to the highest levels. 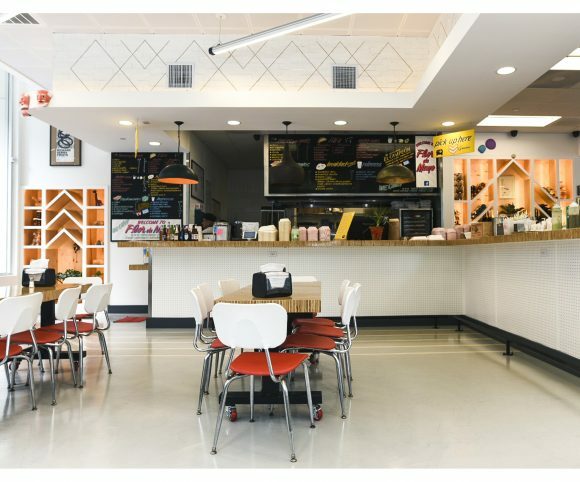 Call us a taco cult, call us “los chilangos,” call us the finest professional taqueria. 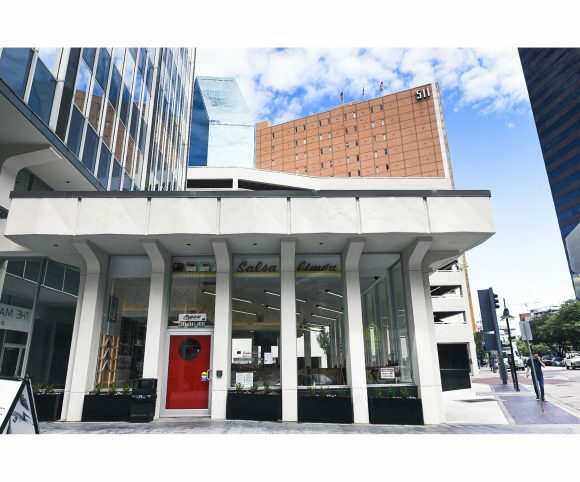 Interior: It’s been a half-century since the historic Mayflower Building in downtown Dallas has been renovated. The upper nine floors of the Mayflower Building has been transformed from the Mayflower Insurance Co. to a modern-style 215-unit apartment building with ground floor restaurant space and parking for building goers. One of the standout features of the building is a massive six-story tall interior atrium designed in a former computer center space. It was once home to a 1960s-era computer used for insurance tabulating. 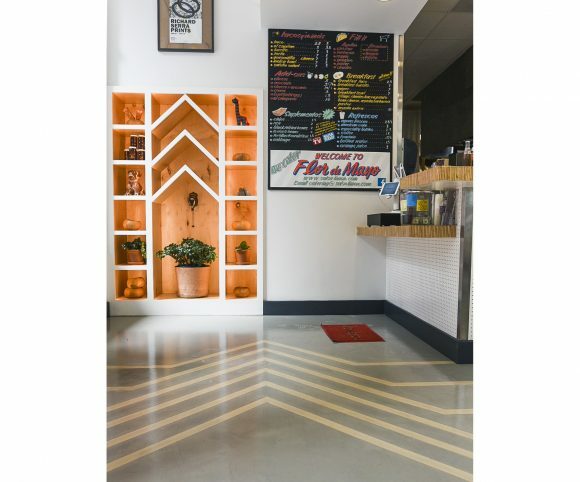 Salsa Limon’s Flor de Mayo possesses the spirit of the mid-century existing building. 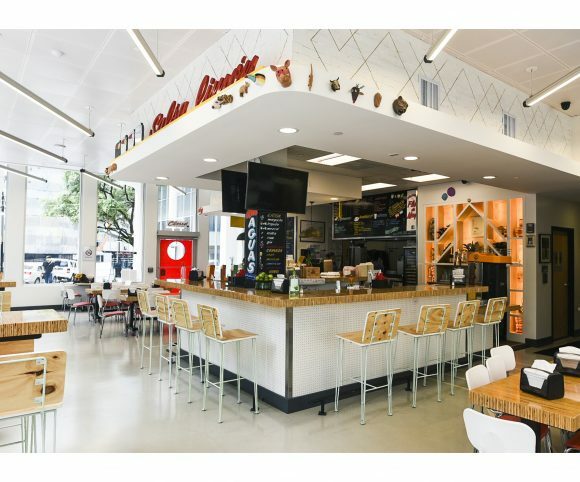 Vibrant white mixed with Mexican taqueria accents of wood bring the open space to life that allows patrons to move through the space with visual cues. A peninsula bar marks the space as modern, clean, and fun while providing interaction and seating options.